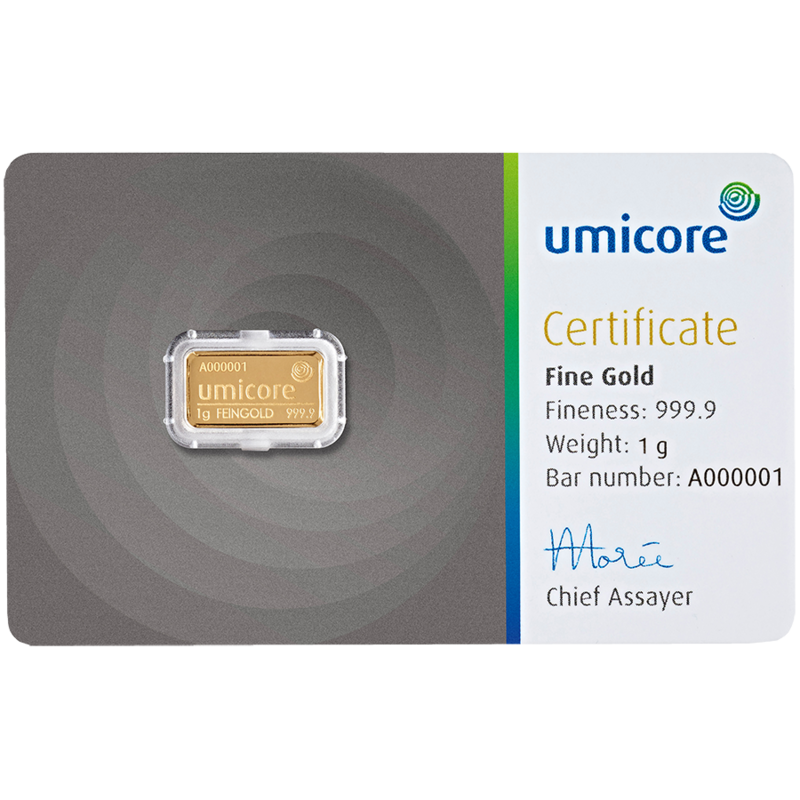 The Umicore 1g stamped Gold Bar in Assay 25 Bar Bundle contains 25 smaller sized bars, allowing for flexibility. Each bar weighs 1.00g and is 999.9 Fine Gold. 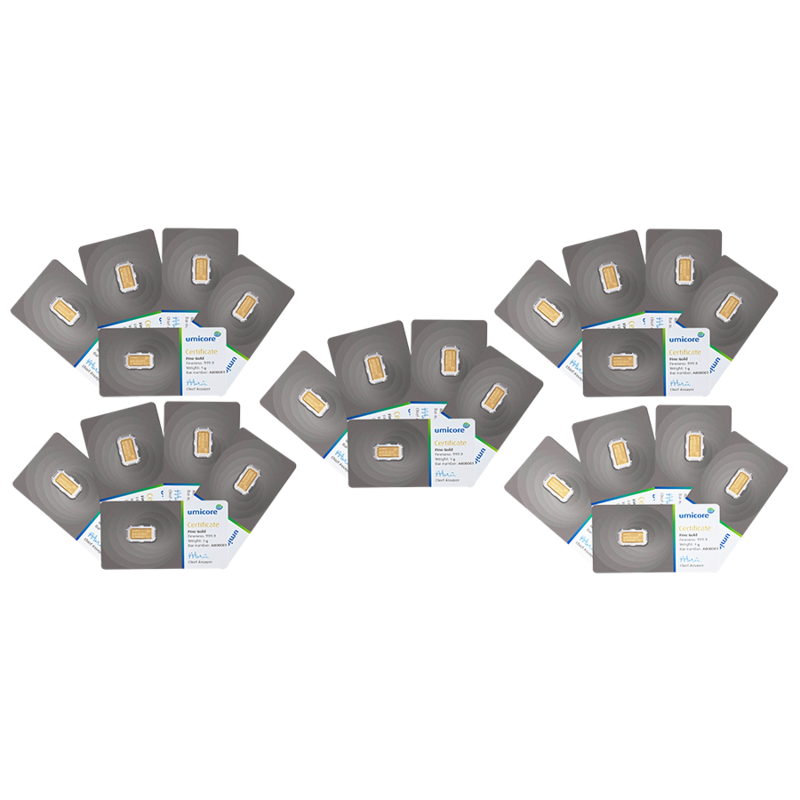 Weight of bundle is 25g.